Welcome this sectional sofa into your living room, family room, or den to create a comfortable and casual oasis. 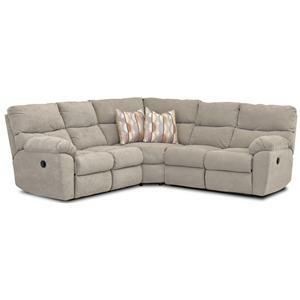 This reclining sectional features pad over chaise seats and high plush split back cushions for full body support. Spacious reclining seats offer enough space for the whole family to sit back and relax. 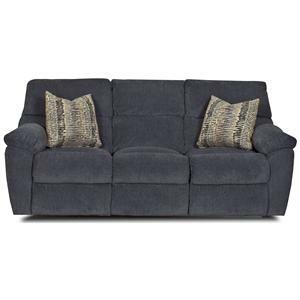 The Odessa Casual Power Reclining Sectional with Accent Pillows by Klaussner is available in the area from FMG - Local Home Furnishing. 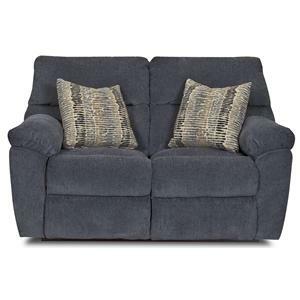 14504P 90SEW Wedge with Pillows 1 65" 42" 40"
14503L PWRLS LAF Power Reclining Loveseat 1 52" 40" 40"
14503R PWRLS RAF Power Reclining Loveseat 1 52" 40" 40"
The Odessa collection is a great option if you are looking for furniture in the area. Browse other items in the Odessa collection from FMG - Local Home Furnishing in the area.